On the one hand, legal requirements and regulations oblige companies to safely store data for long periods of time, and on the other, the threat posed to the data is constantly increasing due to many events. The additional protection of the most important and long-term data against malicious software, failures in data centres or hazards in the cloud is urgently needed. The INCOM storage solutions for long-term data retention considerably reduce the risk of data loss with minimal effort and cost. With the StorEasy® WORM appliance and the BluArc data manager, small and large storage solutions can be set up, managed and securely kept such that they cannot be altered. The concept: INCOM's StorEasy® solutions are hybrid storage systems to protect your data against modifications and loss. An almost 100% level of security is achieved on the basis of the 4-2-2 safety concept, in which all data is held four (4) times on two (2) different types of technology and two (2) offline copies of the data are made. In terms of nearline storage, optical libraries offer the best performance data. 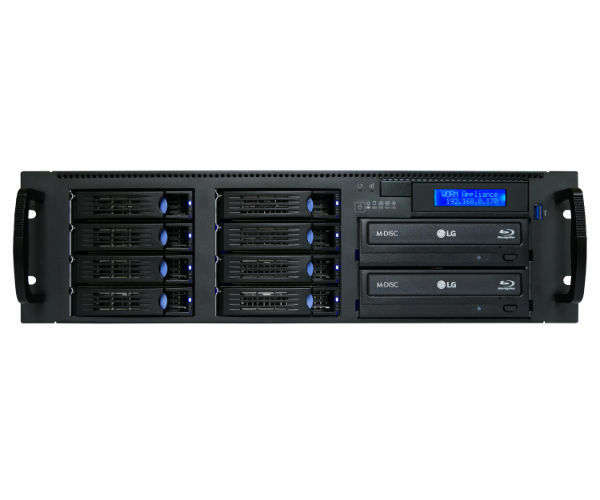 The HIT media libraries HMS series consists of five models. The HMS 1035 with one or two Blu-ray drives can accommodate 35 media in one internal magazine. The maximum capacity is 4.4 TB. The HMS 2105, with 105 media, offers a capacity of 13 TB. 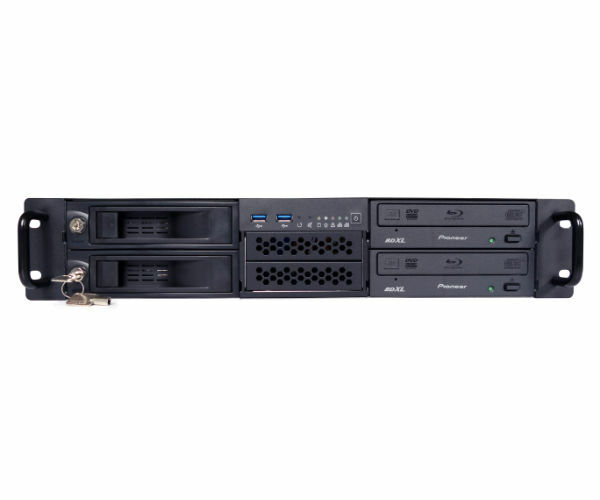 The 3350 and 3560 models can be used as archives, with HMS capacities of 44 and 70 TB. The HMS 5175 model has 10 trays, each with 5 magazines, for a total of 1750 media. The compact design allows it to hold over 220 TB of data in less than 2 square metres of surface area, and requires no air conditioning. There are energy savings of up to 80% compared to a hard-drive-based system of the same size, with all data in the network automatically accessible (albeit more slowly). In addition to the HMS series, HIT offers the HDL range for the use of optical media cartridges. In its largest version, the HDL 10368 (P1) has a maximum capacity of one petabyte. 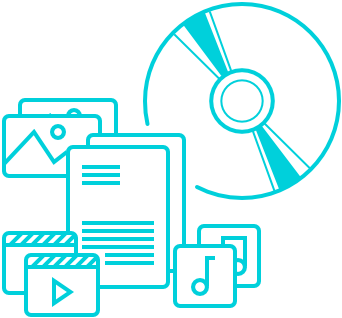 The systems are controlled by the StorEasy® BluArc DataManager or the PoINT Jukebox Manager, which both writes the media with an ISO-compliant and transparent file system. Unlike with tape, these media can be removed and read on any standard Blu-ray drive in a computer. The longer the lifespan of a data carrier, the less effort (and therefore cost) is needed for migration costs. Standardised procedures, formats and hardware components increase independence and guarantee long-term access to one's own data, without additional programs or tools. The INCOM storage solutions fulfil all the criteria for dramatically increasing the data safety of small and large data archives thereby limiting the cost of long-term data storage. If you have questions regarding archiving systems do not hesitate to contact us.